Radio astronomers from Arizona State University and MIT have recently observed a predicted radio phenomenon that originates from the very first stars formed in the Universe. Hydrogen tends to emit radio signals in the 21cm (1.4 GHz) region of the frequency spectrum. 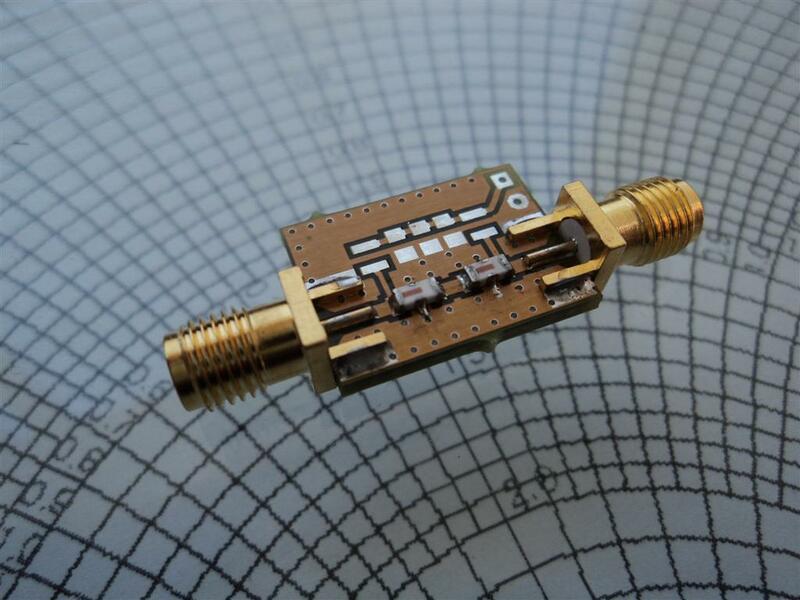 An emission from a single Hydrogen atom is very rare, but since there is so much Hydrogen in space a bump at 1.4 GHz can be observed on the frequency spectrum if a sensitive radio is used with a directional antenna pointing up at the sky. 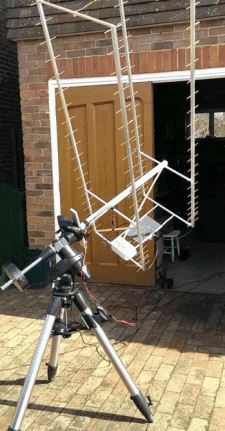 This is a moderate difficulty experiment that can be performed by amateur radio astronomers today with cheap RTL-SDRs or other SDRs together with some LNAs. After stars formed in the early Universe, their ultraviolet light is expected, eventually, to have penetrated the primordial hydrogen gas and altered the excitation state of its 21-centimetre hyperfine line. This alteration would cause the gas to absorb photons from the cosmic microwave background, producing a spectral distortion that should be observable today at radio frequencies of less than 200 megahertz. The results show a successful detection of the expected phenomena at 78 MHz, confirming the age at when the first stars have been predicted to have begun forming. The phenomena is detected at 78 MHz instead of 1.4 GHz because the wavelength of a Hydrogren line signal gets stretched the further the source is from us, due to the redshift doppler effect from the expansion of the Universe. This detection is from some of the furthest (and thus oldest) stars in the Universe, so a big stretch is expected. 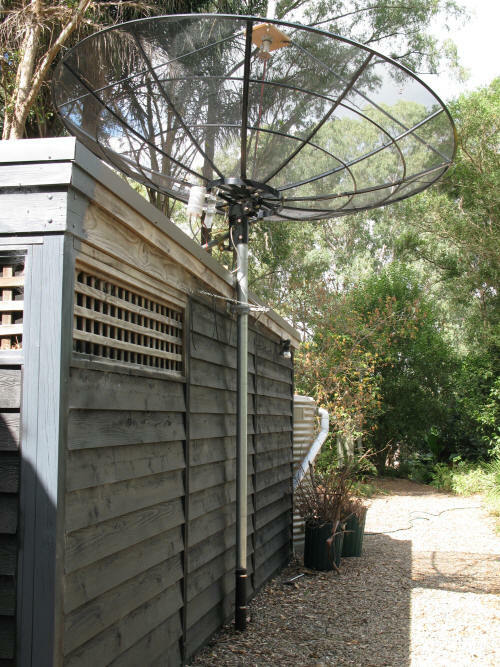 The experiment consisted of a broadband blade dipole which was set up in the Australian outback. 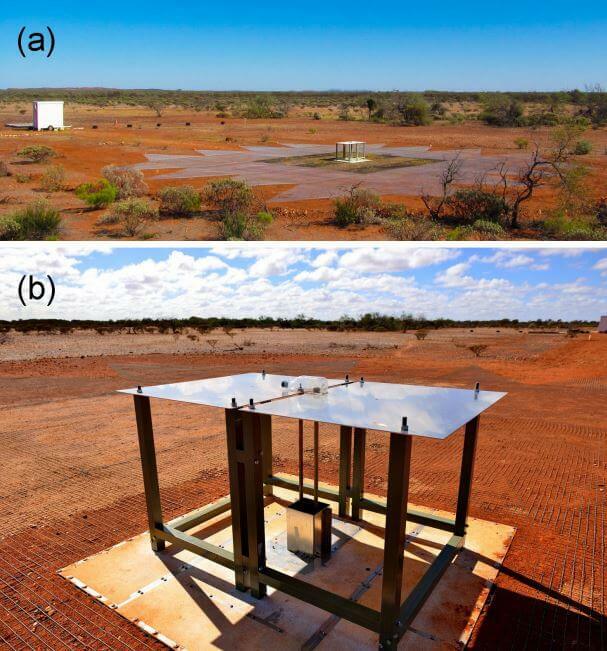 Since the cosmic signal is expected to be detected right in the middle of the broadcast FM band, a dedicated radio-quiet location is required to stand any chance of detection. The receiving SDR hardware consists of an LNA, line amp, filtering and a 14-bit ADC that is connected to a PC. 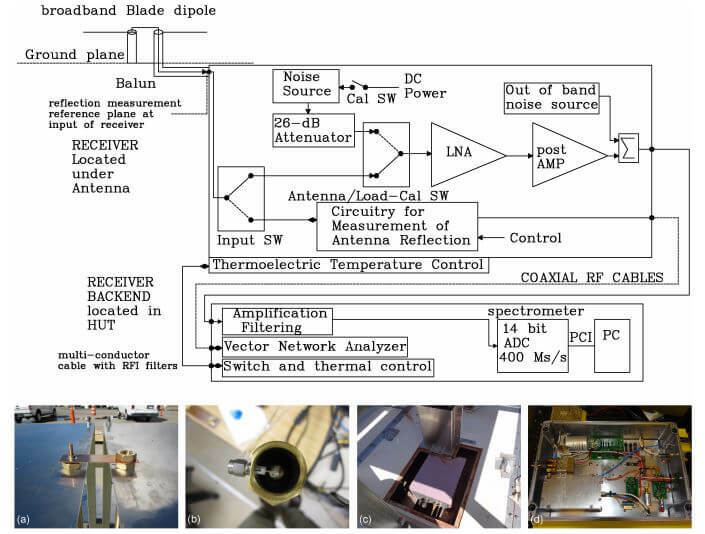 It seems possible that this experiment could be repeated by amateur radio astronomers with commercial SDR hardware, but the biggest challenge would probably be finding a very radio-quiet location without broadcast FM radio signals. Adam 9A4QV is the manufacturer of the LNA4ALL, a high quality low noise amplifier popular with RTL-SDR users. He also sells filters, one of which is useful for hydrogen line detection. 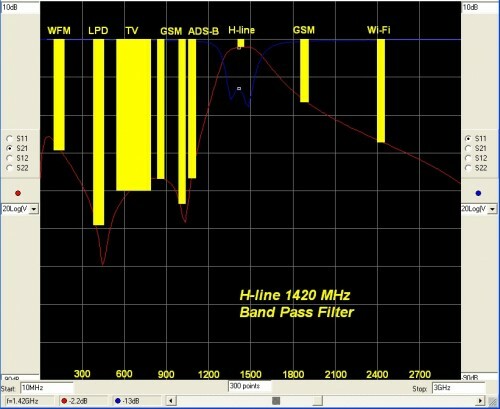 Recently he’s uploaded a tutorial document showing how to use 2x LNA4ALL, with a filter and RTL-SDR for Hydrogen Line detection (pdf warning). Hydrogen atoms randomly emit photons at a wavelength of 21cm (1420.4058 MHz). Normally a single hydrogen atom will only very rarely emit a photon, but since space and the galaxy is filled with many hydrogen atoms the average effect is an observable RF power spike at 1420.4058 MHz. By pointing a radio telescope at the night sky and integrating the RF power over time, a power spike indicating the hydrogen line can be observed in a frequency spectrum plot. This can be used for some interesting experiments, for example you could measure the size and shape of our galaxy. Thicker areas of the galaxy will have more hydrogen and thus a larger spike. In his tutorial Adam discusses important technical points such as noise figure and filtering. Essentially, when trying to receive the hydrogen line you need a system with a low noise figure and good filtering. The RTL-SDR has a fairly poor noise figure of about 6dB at 1420MHz. But it turns out that the first amplifier element in the receive chain is the one that dominates the noise figure value. So by placing an LNA with a low noise figure right by the antenna, the system noise figure can be brought down to about 1dB, and losses in coax and filters become negligible as well. At the end of the tutorial he also discusses some supplementary points such as ESD protection, bias tees and IP3. One note from us is that Adam writes that the RTL-SDR V3 bias tee can only provide 50mA, but it can actually provide up to 200mA continuously assuming the host can provide it (keep the dongle in a cool shaded area though). Most modern USB 2.0 and USB3.0 ports on PCs should have no problem providing up to 1A or more. We’ve also tested the LP5907 based Airspy bias tee at up to 150mA without trouble, so the 50mA rating is probably quite conservative. So these bias tee options should be okay for powering 2xLNA4ALL. Finally Adam writes that in the future he will write a paper discussing homebrew hydrogen line antennas which should complete the tutorial allowing anyone to build a cheap hydrogen line radio telescope. One configuration with 2xLNA4ALL, 1x interstage filter, and 1x recceiver side filter with bias tee. I used ultrafast FFT which works on 4k to 512k bit space. With this plugin it is possible to average up to 64000000 samples in real time. XNA allows to shows the calculation results in real time. To install the plugin you will need to install the XNA Framework 4.0 Redistributable first. Then copy the plugin files over to the SDR# folder and add the “magicline” to the SDR# Plugins.xml file. The RTL-SDR can be used for many interesting radio astronomy applications such as observing the Hydrogen line. Hydrogen atoms randomly emit photons at a wavelength of 21cm (1420.4058 MHz). Normally a single hydrogen atom will rarely emit a photon, but since space and the galaxy is filled with many hydrogen atoms the average effect is an observable RF power spike at 1420.4058 MHz. By pointing a radio telescope at the night sky and integrating the RF power over time, a power spike indicating the hydrogen line can be observed in a frequency spectrum plot. 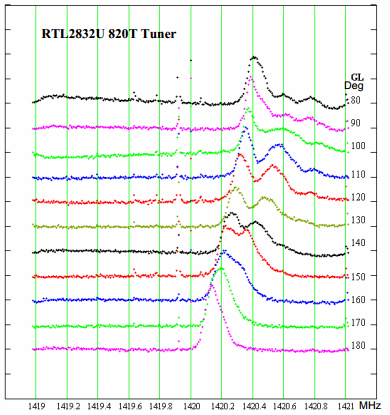 On his website Steve Olney has been writing about his experiments and results with using an RTL-SDR to observe the hydrogen line. 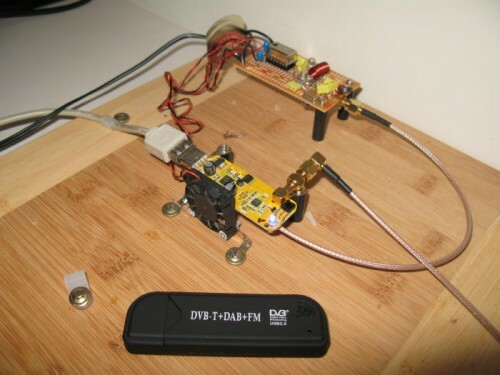 On his website he writes that he uses a 3M dish, with an LNA at the antenna to reduce the system NF, a hydrogen line tuned bandpass filter to remove out of band noise, 2 line amps to overcome coax loss, and finally a second LNA just before the RTL-SDR dongle to optimize the signal strength for the ADC. The dongle he uses has been modified to use a TCXO, and is aircooled via a PC fan. He also uses a modified version of the rtlsdr.exe IQ file recorder and his own custom GUI for controlling the RTL-SDR and antenna tracking mechanism. His results show that he was able to detect the Hydrogen in the Large and Small Magellanic clouds. He also shows a method for converting the 8-bit IQ data down to 1-bit to save disk space, and shows that while some noise is added, the overall result is preserved. See the related posts for other hydrogen line experiments with the RTL-SDR. The 3M dish used for hydrogen line detection. The fan cooled RTL-SDR used to detect the Hydrogen line. Adam 9A4QAV is mostly known as the manufacturer of the popular LNA4ALL, a low cost low noise amplifier which is often used together with the RTL-SDR to improve reception of weak signals. He also sells an ADS-B bandpass filter and an ADS-B antenna, the latter of which we reviewed in a previous post. Now Adam has come out with two new RF bandpass filters which are for sale. RF filters are used to block unwanted interference from other strong signals which can cause trouble, especially with low cost receivers such as the RTL-SDR. The first new filter that he has developed is for FLARM (FLight Alarm System). FLARM broadcasts at 868 MHz and is a protocol similar to ADS-B. It is used by Gliders and some Helicopters for collision avoidance. It is possible to decode FLARM with an RTL-SDR which allows you to track gliders on a map, as discussed in one of our previous posts. 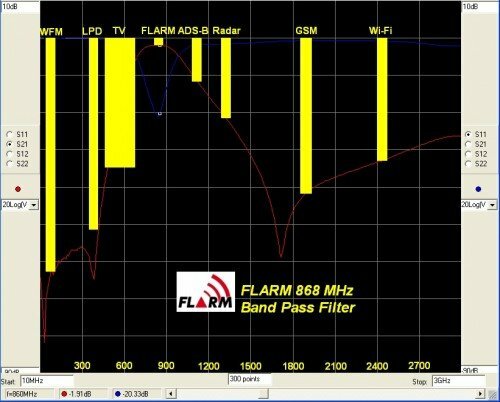 Characteristics of Adam’s FLARM Filter. The second filter is for amateur radio astronomers who wish to detect the Hydrogen Line at 1420 MHz. Hydrogen molecules in space occasionally emit a photon at 1420 MHz. 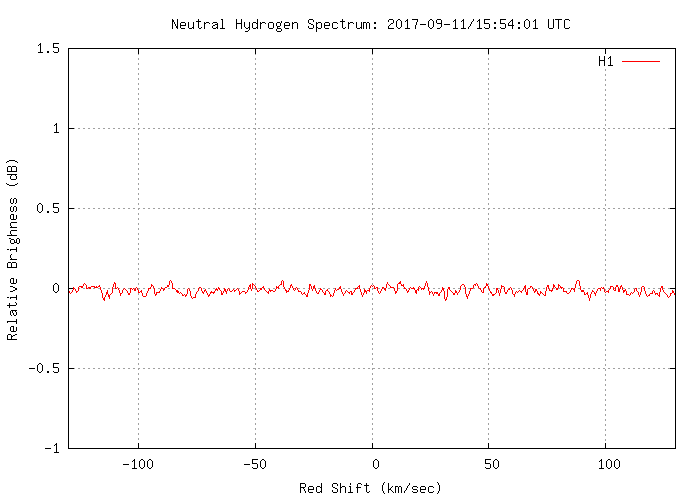 A single emission can’t be easily detected, but space and the galaxy is full of Hydrogen and the net result is an observable RF power spike at 1420 MHz. This can be detected with a high gain antenna, LNA, RF filter and radio like the RTL-SDR. The Hydrogen line can be used to measure things like the rotation and number of arms in our galaxy. Filters are very important for radio astronomy work as man made interference can easily drown out the relatively weak cosmic signals. Characteristics of Adam’s Hydrogen Line Filter. Adam sells all his fully assembled filters for 20 euros, plus 5 euros worldwide shipping. One of the ADS-B/FLARM/HLine Filters by Adam 9A4QAV. Over on YouTube user S53RM has uploaded a video showing his and S53MM’s observation of the 1420 MHz galactic hydrogen line with an RTL-SDR. Hydrogen atoms randomly emit photons at a wavelength of 21cm (1420.4058 MHz). Normally a single hydrogen atom will rarely emit a photon, but since space and the galaxy is filled with many hydrogen atoms the average effect is an observable RF power spike at 1420.4058 MHz. By pointing a radio telescope at the night sky, a power spike indicating the hydrogen line can be observed in a frequency spectrum plot. In the video they rotate their 3.6m parabolic mesh antenna dish along the Milky Way. As the dish rotates doppler shifted hydrogen line peaks can be observed on Linrad, each peak representing a different arm of the galaxy. The galaxy consists of several spinning arms, some spinning faster than others which causes the hydrogen line peaks produced by the arms to be doppler shifted by different amounts. 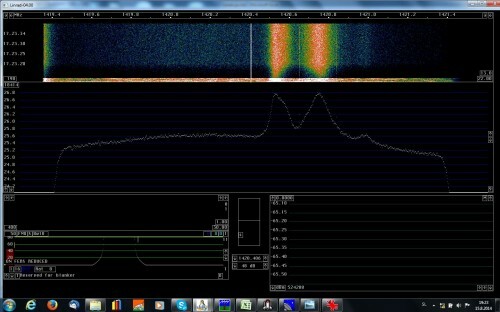 They used Linrad to plot the RF spectrum as they were able to use it together with a pulse generator to calibrate the RTL-SDR for a flatter frequency response. More information about their project can be found at http://lea.hamradio.si/~s53rm/Radio%20Astronomy.htm. Amateur radio astronomer Y1PWE has uploaded a pdf document describing how he created a low cost hydrogen line telescope using an RTL-SDR dongle (links under heading 2. H-Line Receiver) . Hydrogen atoms randomly emit photons at a wavelength of 21cm (1420.4058 MHz). Normally a single hydrogen atom will rarely emit a photon, but since space and the galaxy is filled with many hydrogen atoms the average effect is an observable RF power spike at 1420.4058 MHz. By pointing a radio telescope at the night sky, a power spike indicating the hydrogen line can be observed in a frequency spectrum plot. 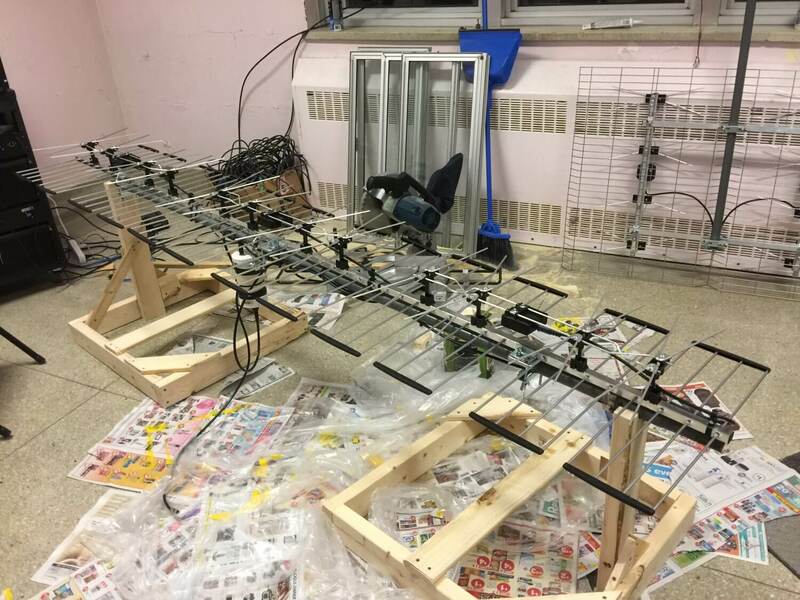 Y1PWE created a radio telescope using a quad 22 element yagi antenna, several LNA's and filters and an RTL-SDR dongle and laptop. Using this setup he can capture some raw IQ data from the RTL-SDR and then use an FFT averaging program to produce some plots. In his plots the hydrogen line is clearly visible.